Download the FREE SELF CARE REFLECTION WORKBOOK! How this challenge got started! 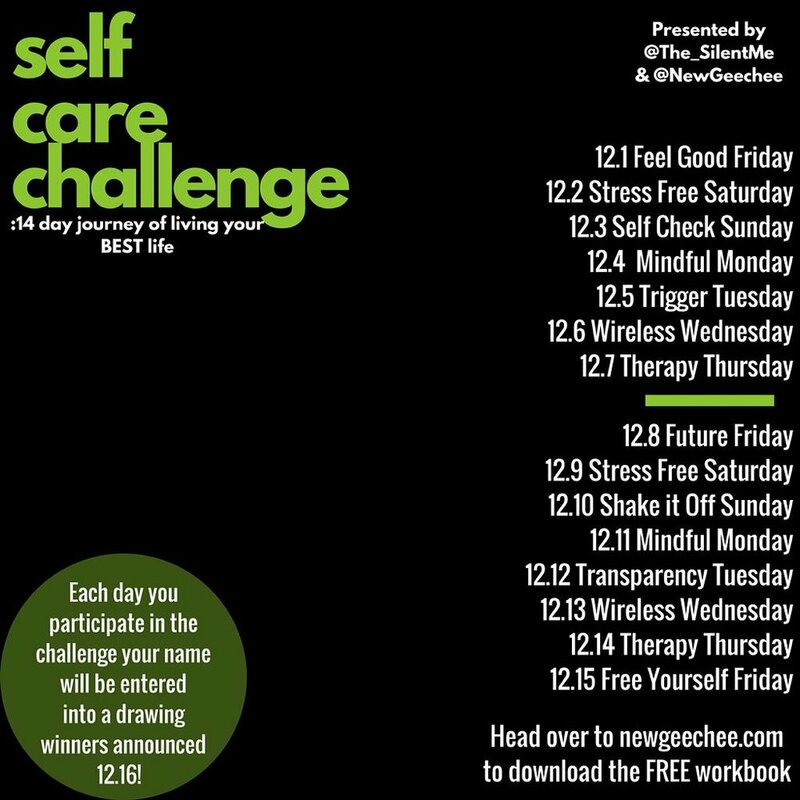 Welcome to the SELF CARE challenge! Check out the #THERAPYTALKTHURSDAY Live Chats with Therapist Ericka Thrower and Ashley Ravenell! View the #TherapyTaLKTHursday Facebook LIVE chats by clicking below!